In case you didn’t know… I’ve been making a living as a Social Media Community Manager for the last 5 years. I’ve been blogging and using social media for almost 7 years. And Never. Ever. Have I found such a simple tool to make my work so beautiful and easy. 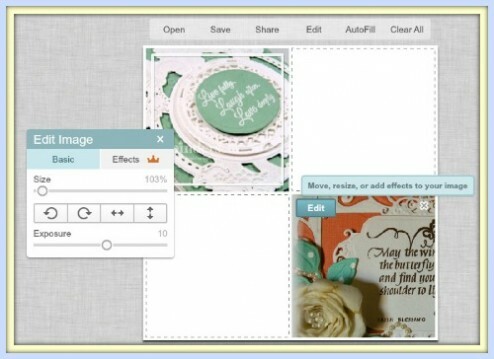 PicMonkey turns your desktop into a photo editing studio in a snap. And I’m the least talented graphic designer. Ever. PicMonkey makes my work look professional, modern and fun! And now.. .they’ve added a feature so FULL of WIN! You can create a photo collage and access the editing tools at the same time. YAY! Was I paid to teach you my insider tips on Picmonkey? Nope. Just sharing! So let’s get started! 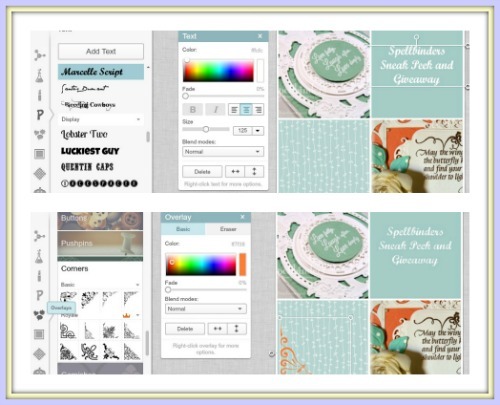 How do I use PicMonkey for work? I write content for blogs, Facebook, Instagram etc… and it needs to be super shareable across multiple platforms and ultimately on Pinterest. What makes a photo shareable? Good question! Adding text, color and accents to a photo are just what you need to make you photos go from forgettable to FAB. Click “Create a collage” on the start page. Choose your layout (I went with 4 equal squares) and then open your photos from your computer. Once you drop your photos into place… you can adjust them by clicking the edit button on the photo. 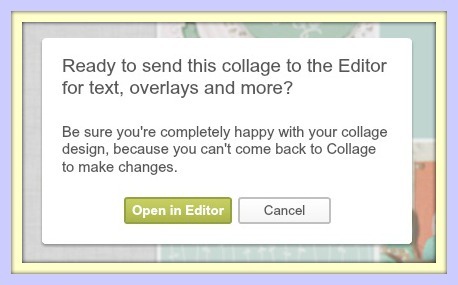 If you don’t have enough photos to fill the collage spaces… you can fill them with ready made swatches or upload your own. 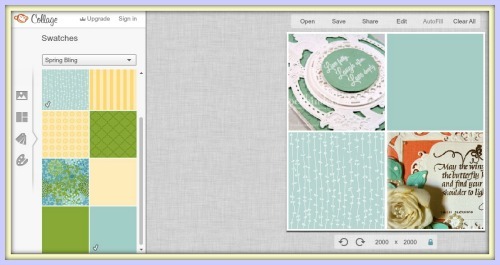 PicMonkey also allows you to delete blank squares. 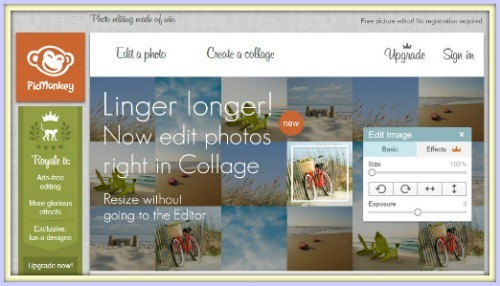 A brand new feature in PicMonkey now allows you to open the photo editor from your collage. Awesome! Add your text and a fancy overlay! 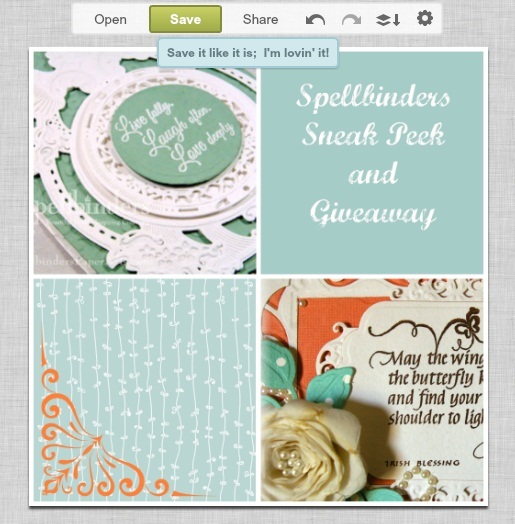 There’s a fun variety of free and premium texts and overlays. So far… I’ve not even logged into PicMonkey. I’ve just been taking advantage of the super easy to use features that are available to guests who need a photo on the fly! 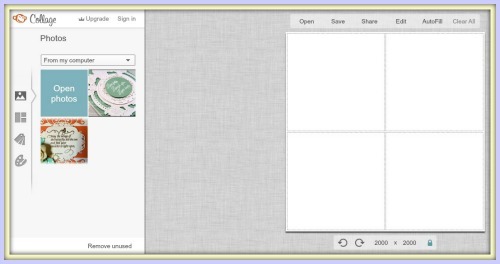 Save your masterpiece and use it wherever you’re creating content to be shared!